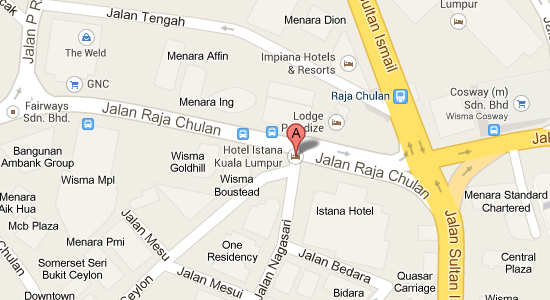 The Hotel Istana Kuala Lumpur is strategically located within Kuala Lumpur’s main Golden Triangle business and commercial centre. 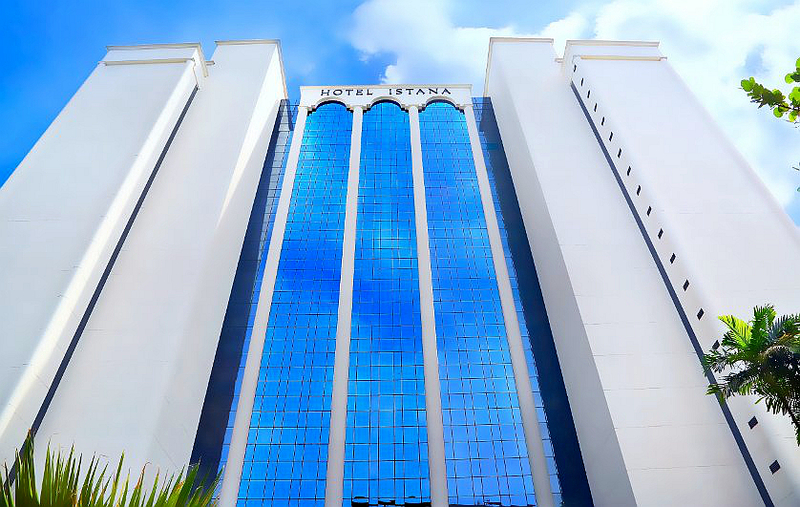 The 5 star Hotel Istana features 505 well-appointed guestrooms and suites designed to suit every individual’s personal and corporate needs. Each comes with broadband internet access, widescreen TV and tea/coffee making facilities. 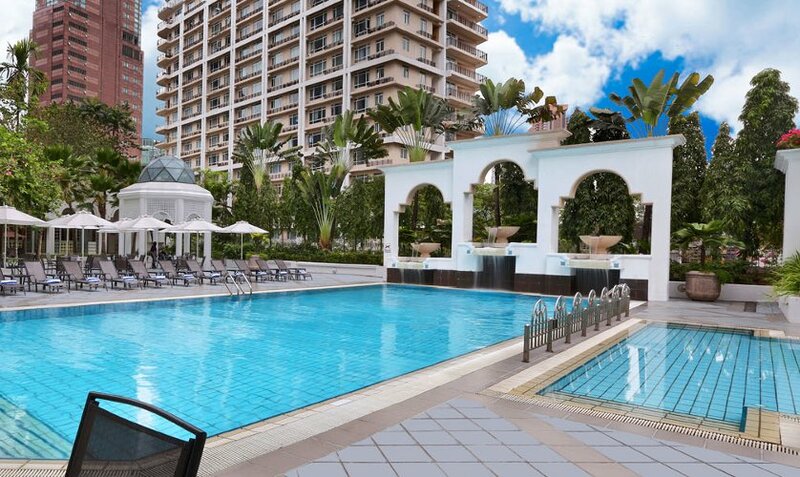 The fitness center, spa and swimming pool can be made use of for guests’ relaxation needs. 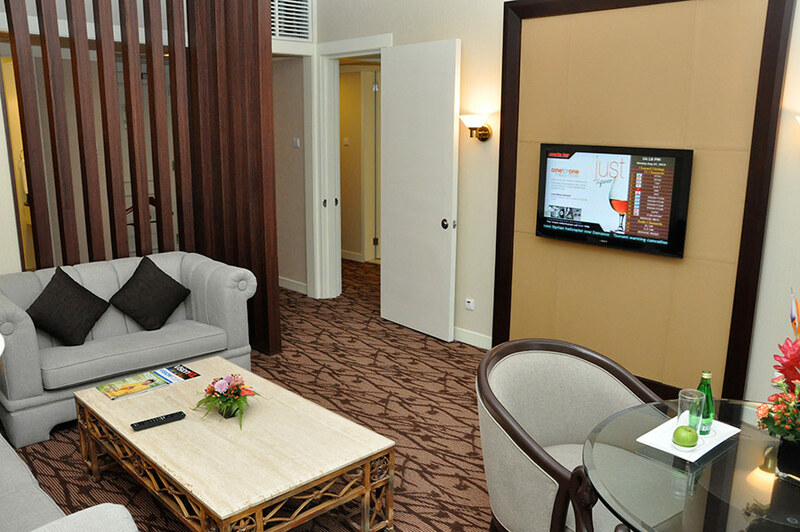 The Deluxe Room is sized at 38.1sqm. It is tastefully decorated with warm earthy colours and decorated with traditional fabric accessories. 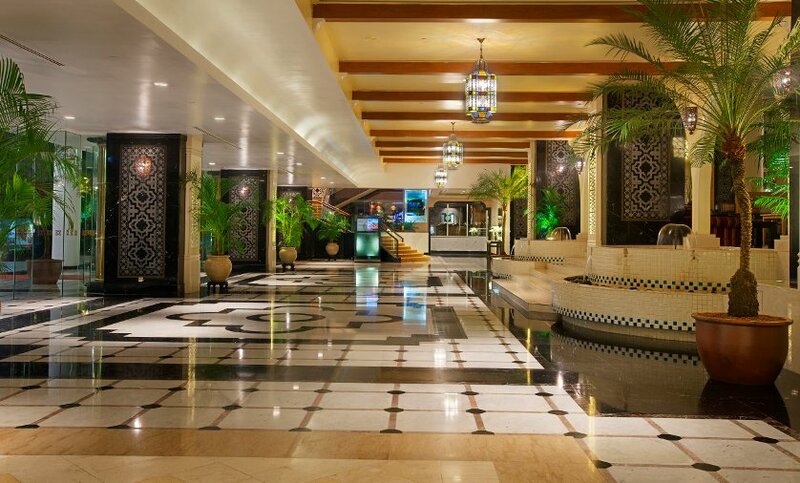 Ideal for corporate and leisure travelers. You will have a choice of king-sized or twin beds. The Club Room is measured at 38.1sqm. 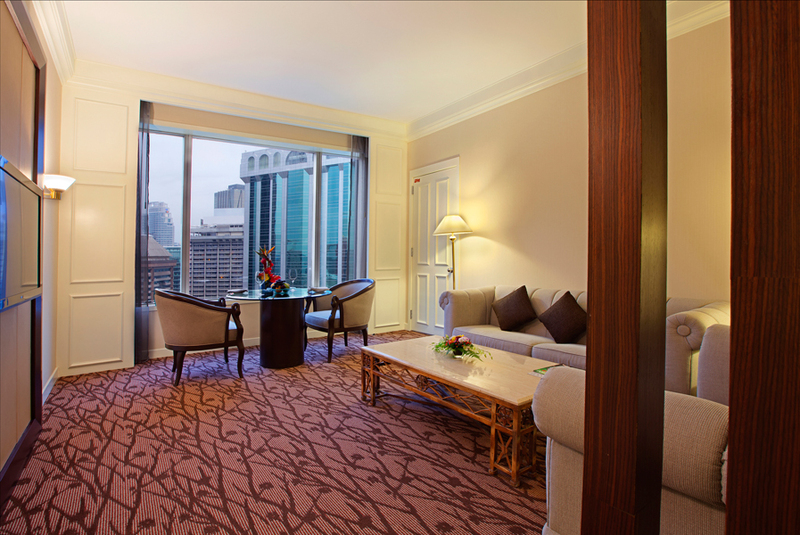 Located on 18th – 20th floor, these suite rooms offer exceptional views of KL skyline. The Club Suite is sized at 79.05sqm. Designed exclusively for corporate or leisure travelers who value the comfort of extra space. Fitted with a private lounge-within-a-suite ideal for private entertainment or as a spacious work-area for corporate travelers. 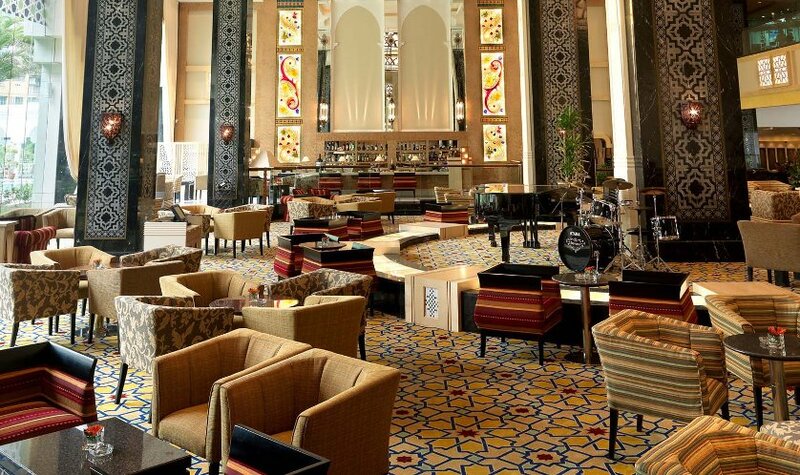 The facilities exclusive tailored for Club Floor guests Include exclusive access to all the privileges and amenities of the Club Lounge located on the 20th floor. 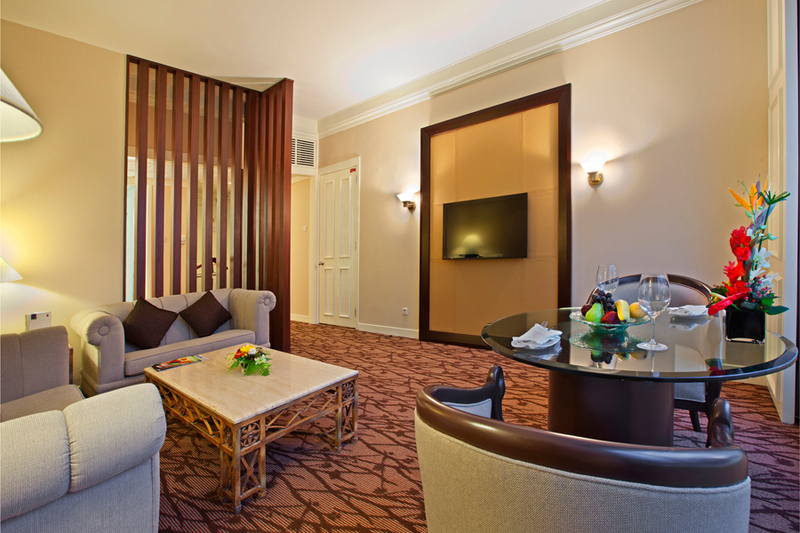 State Room is the ultimate luxury with exclusive interior finish. The views from each State Room are naturally breathtaking. Guests also enjoy exclusive access to the facilities and hospitality of the Club Lounge. Each of the four elegantly-contemporary State Rooms (Malaysian, Monarch, Presidential and Mahkota), showcase individualised colour and trademark decor themes. Each top-of-the-line State Room is extensively spacious (312.9sqm – equivalent to the combined area of six Deluxe rooms) and comes with a kitchenette, living area and private jacuzzi bath. 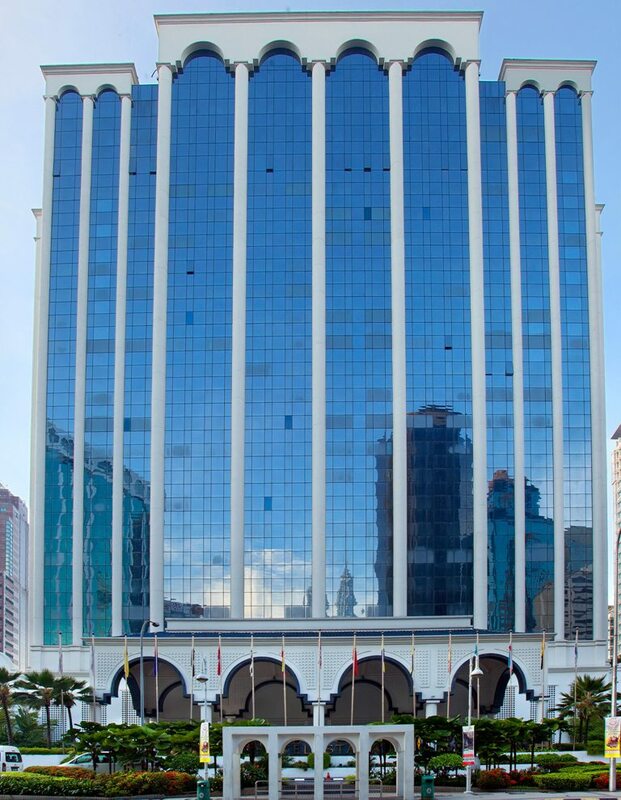 It is also within walking distance to the Bintang Walk shopping and entertainment hub, the Kuala Lumpur Convention Centre, iconic landmarks such as the Petronas Twin Towers and the Kuala Lumpur Tower and the nearby Chinatown. The convenience of a private limousine service and a public bus and taxi network complements the Hotel’s easy accessibility. 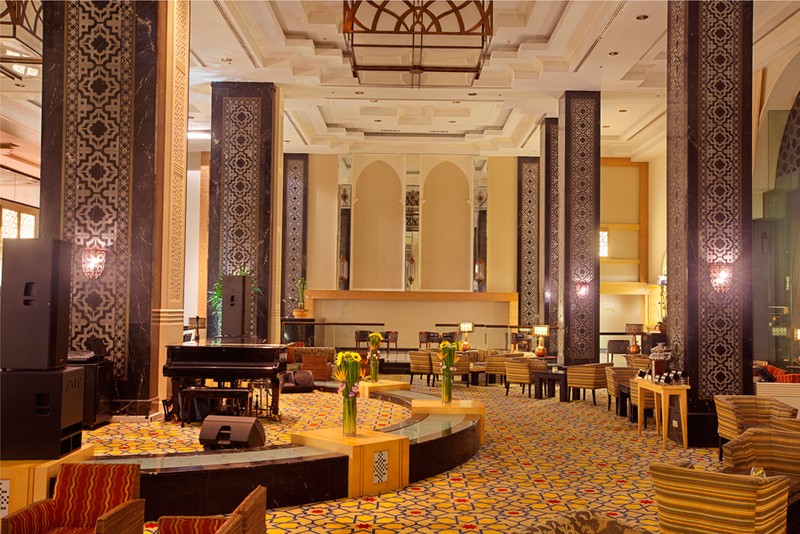 It also offers versatile banqueting and convention facilities and is complemented by authentic tastes from its three outstanding restaurants and two lounges.